Have you heard about Fred Meyer Community Rewards? You can help United Campus Ministry earn donations just by shopping. 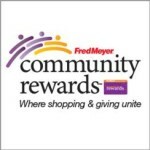 Sign up for the Community Rewards program by linking your Fred Meyer Rewards Card at www.fredmeyer.com/communityrewards. You can search for us by our name or by our non-profit number 81481. You still earn your Rewards Points, Fuel Points, and Rebates, just as you do today, but now UCM will also be eligible to receive donations from the Fred Meyer Corporation! why not sign up today?